If you have kids, you might be drowning in a sea of plastic Easter eggs right now. I know I am! While I will reuse them next year, I still like to put some of them to use while they’re strewn about the house. 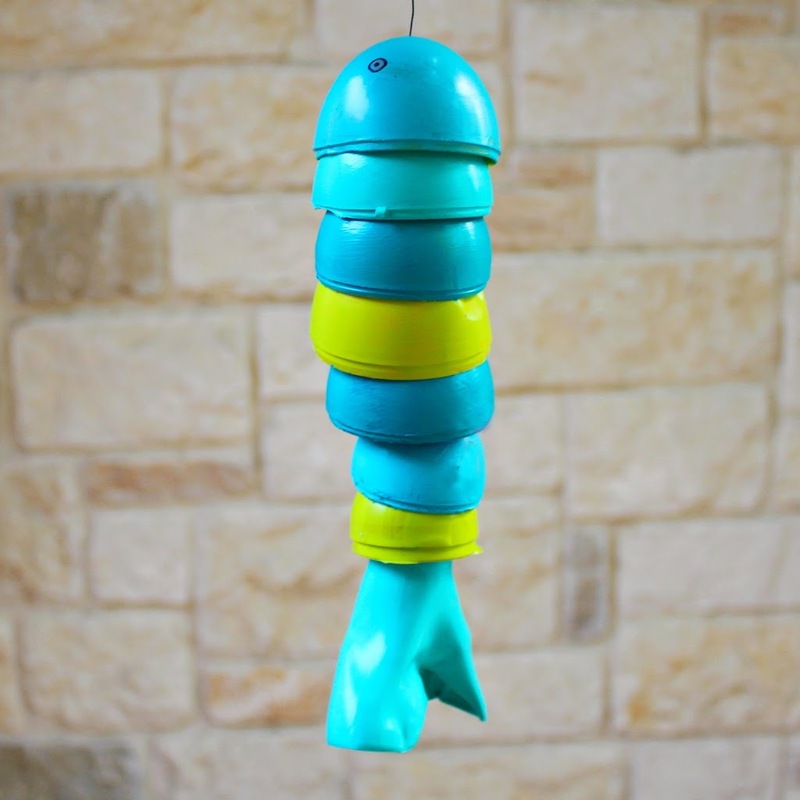 Keep reading to learn how to turn plastic eggs into an Anthropologie inspired wind chime. 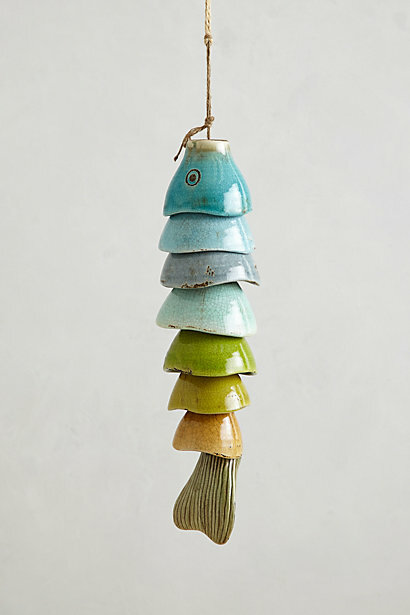 I loved the colors and unusual design of this fish shaped chime at Anthropologie. I was going to make my own with thrift store bowls, then I realized it would probably be broken quickly by my kids. The rounded half of plastic easter eggs looked like bowls, so I decided to turn this into a kid friendly project. Step one: choose eggs of various sizes and use the shorter half of the egg. 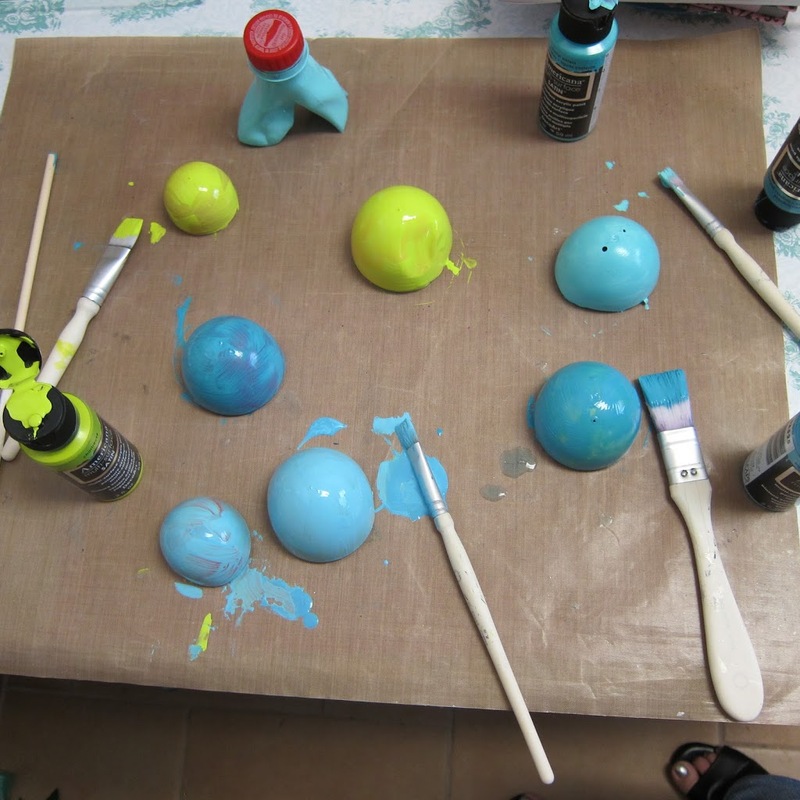 Paint them and set them aside to dry. Paint eyes on the cup that will be the head of the fish. Step two: cut the bottom half off the bottle to make a tail fin. 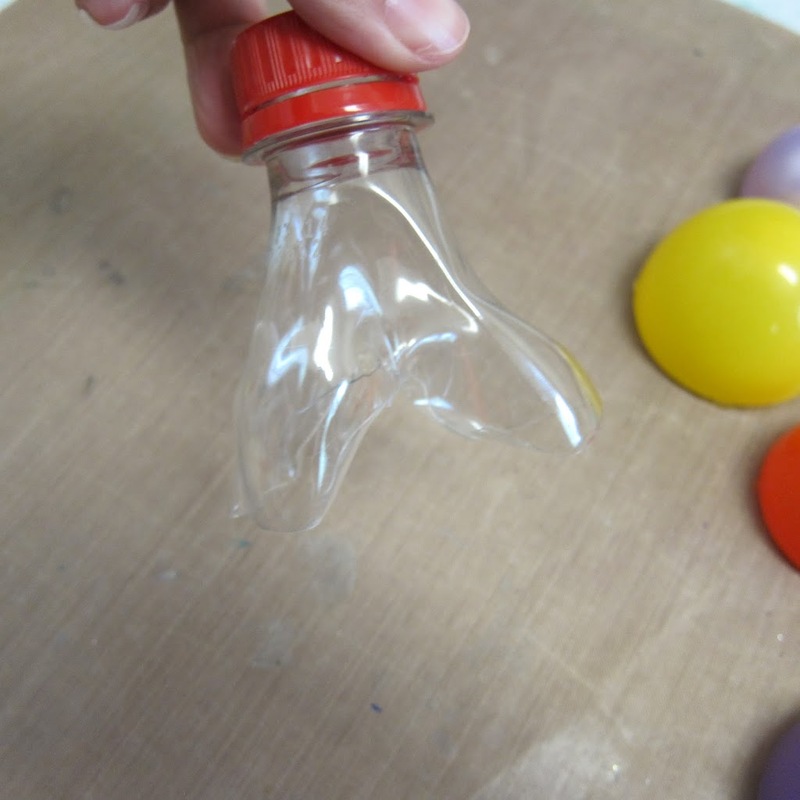 I used a heating tool to melt and warp the plastic into a tail shape. Paint the plastic. Step three: if the eggs don’t have holes in them already, make a small hole in the center. 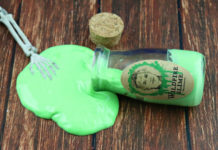 Make a hole in the bottle cap, too. Step four: twist craft wire around the handle of the bell. 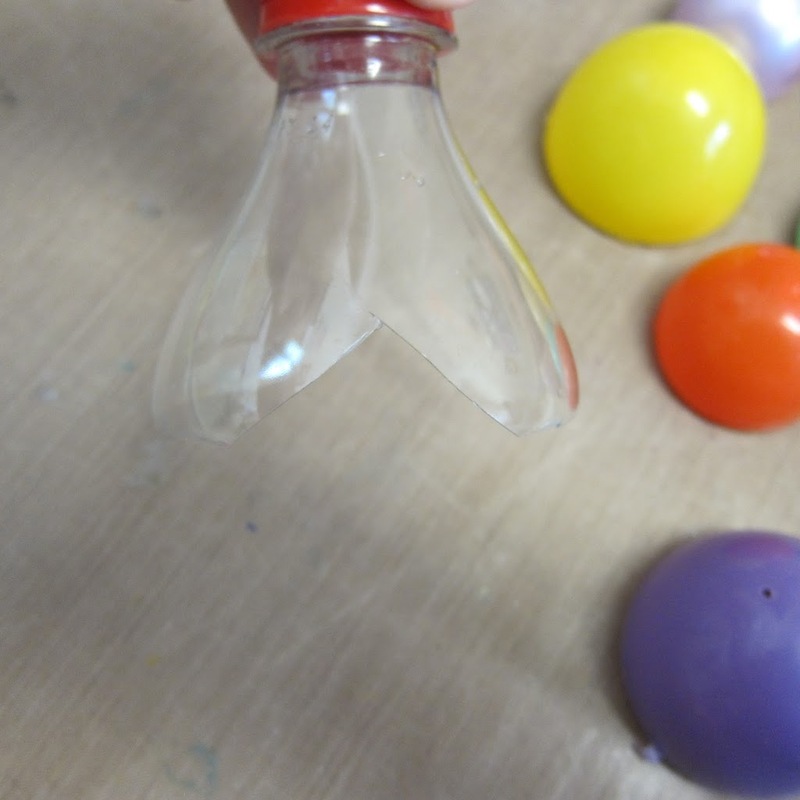 Thread it through the bottle cap “tail” and continue through each egg cup to form the fish. You can bend the wire as needed to make more space between the eggs cups. 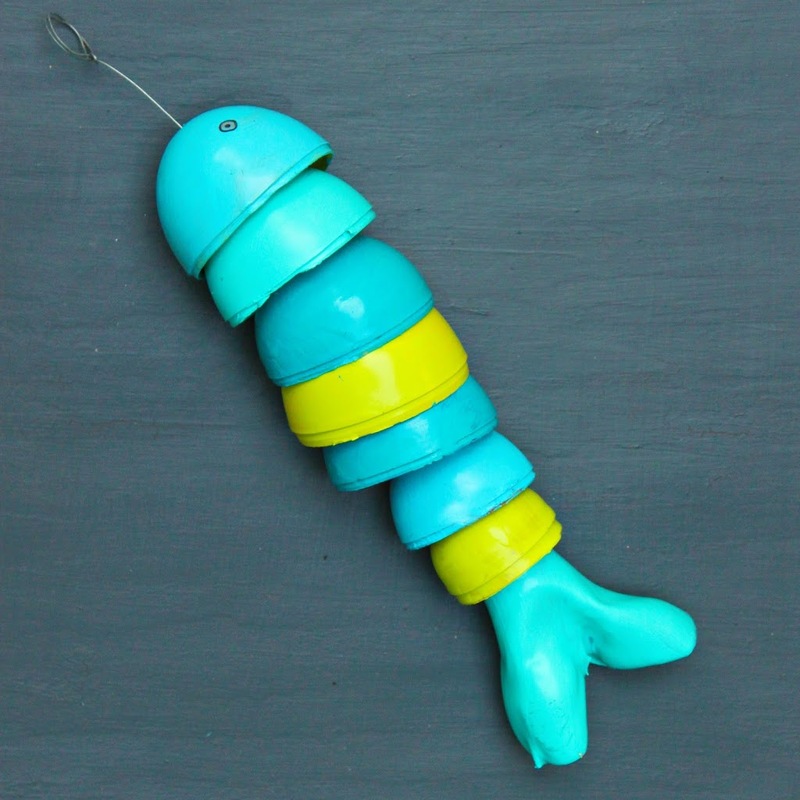 When you reach the head, make a loop to hang the fish. Now your kid proof wind chime is ready to be hung! This would be a fun group activity to make with kids, and you could skip the painting part if you were making it with a large group. 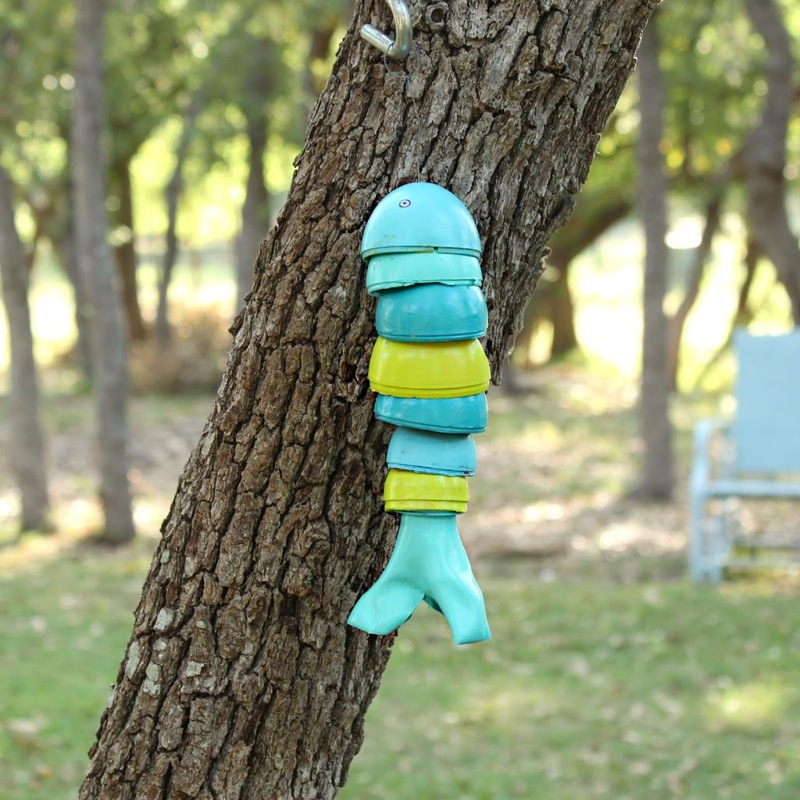 It’s a thrifty way to craft with kids while recycling at the same time. Win-win! So cute! 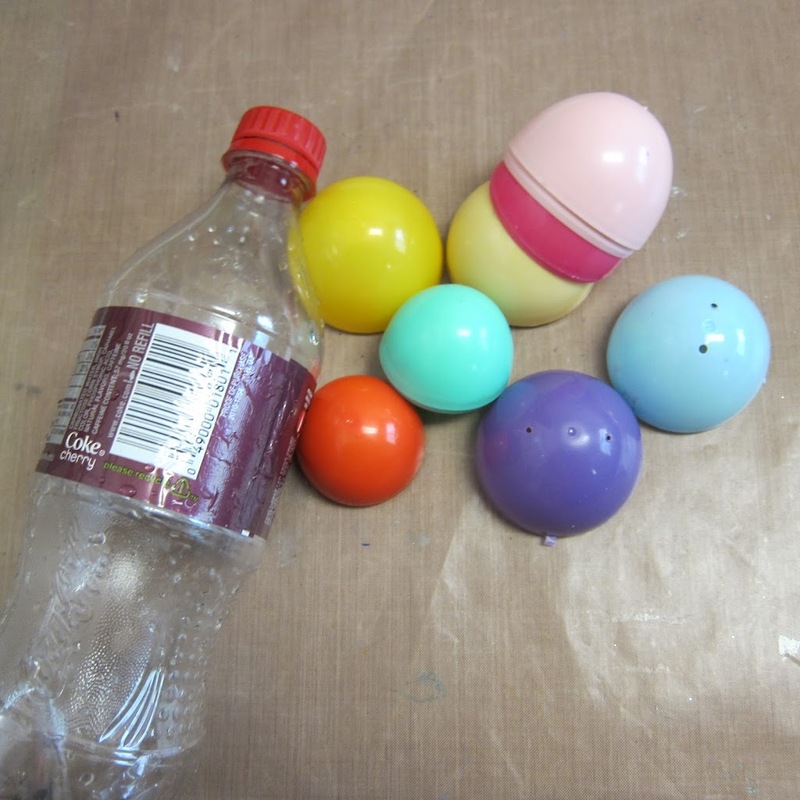 What a creative way to upcycle those Easter plastic eggs!